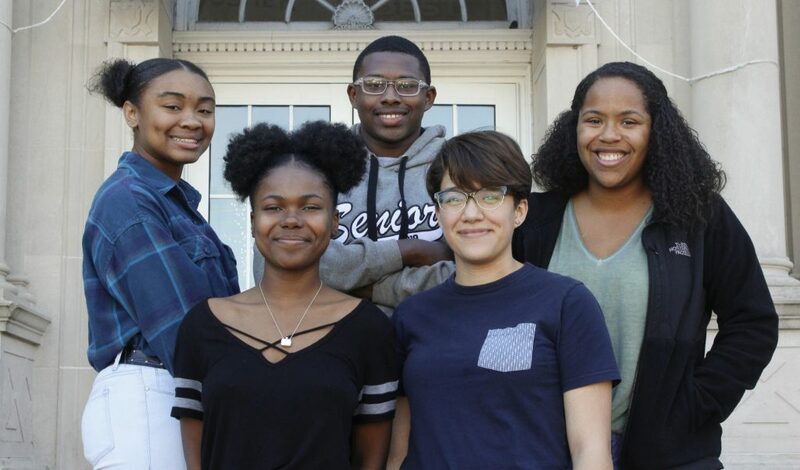 Five Lusher Charter School seniors have been named Posse Foundation scholars: Kierra McDowell, Illinois Wesleyan University; Bryce Langford, University of Notre Dame; Kaysie Ratliff, University of Notre Dame; Jordan Fields, Illinois Wesleyan University; and Lucia Garcia, Case Western Reserve. 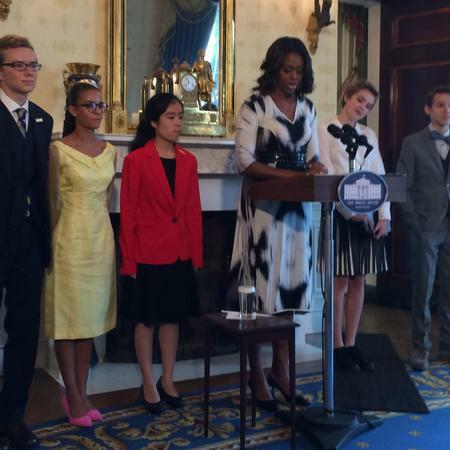 Posse scholars receive full-tuition scholarships. 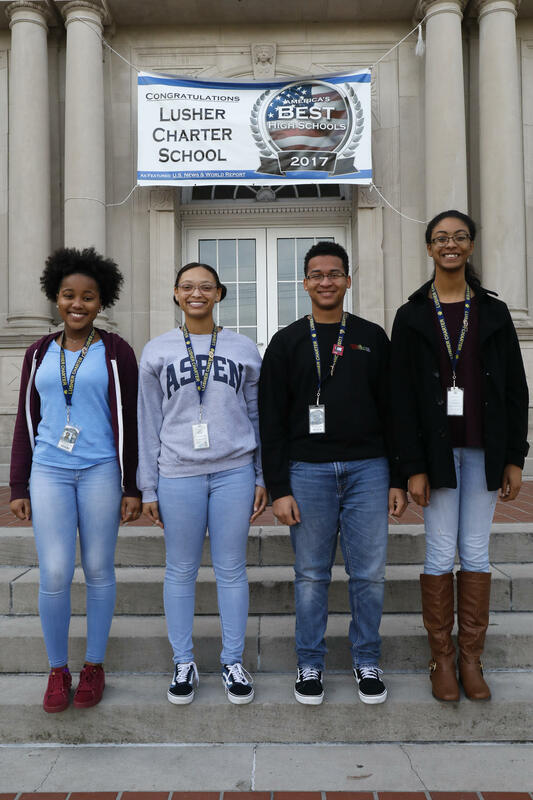 Lusher Charter School’s QuestBridge scholars: Kiya Henderson, Mayela Norwood, Kimani Coye and Amaris Lewis. Lusher Charter School is pleased to announce that four seniors have been named QuestBridge Scholars: Kimani Coye, Vanderbilt University; Kiya Henderson, Pomona College; Mayela Norwood, Claremont McKenna College, and Amaris Lewis, Stanford University. College Match Scholarship Recipients are admitted early to QuestBridge college partners with guaranteed, full four-year scholarships that are provided by the colleges and universities. 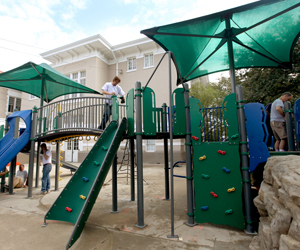 At Lusher, students choose an area of concentrated electives with focused courses. Kimani is receiving a certificate of artistry in visual arts; Kiya is completing a certificate of artistry in musical theater; Amaris is in the engineering design and development program; and Mayela, the biomedical innovation program. Lusher Charter School CEO Kathy Hurstell Riedlinger was awarded the 2018 Terrel H. Bell Award for Outstanding School Leadership on Wednesday, Nov. 7. Joined by New Orleans School Board Superintendent Henderson Lewis, she received the U.S. Department of Education award during a ceremony in Washington, D.C. 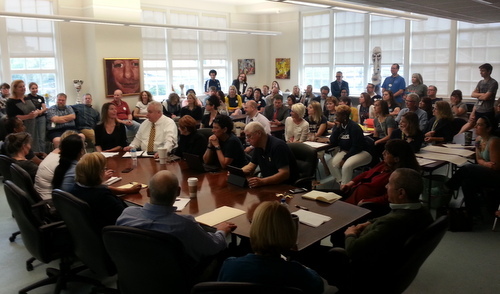 The vast majority of the crowd of nearly 100 people packed into the Lusher Charter School board meeting on Saturday bore some sort of insignia. Some wore white ‘UTL’ buttons with the logo of the United Teachers of Lusher; others carried handmade signs with slogans like “No Union;” and most on both sides had some variation of the Lusher logo on T-shirts in the school’s signature deep blue. Now, school leaders are unsure the money will even go that far. 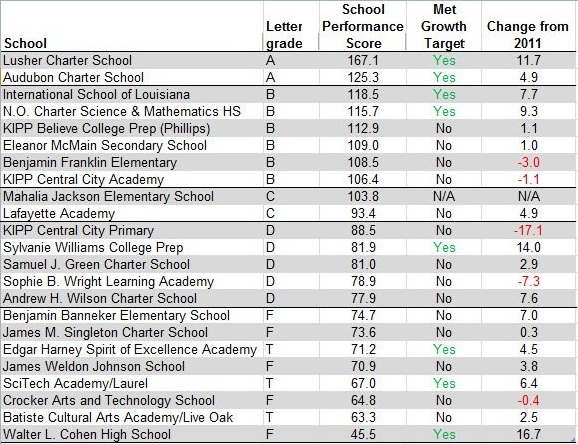 Performance among Uptown public schools in the most recent school year was in many ways similar to that in the year before, according to state scores released Monday. A cluster of high-performing schools continued gains that in many ways lead the city, while a somewhat larger group of low-performing schools split between those making progress toward the middle, those that are slowly improving but still dismally low, and a handful with results that can only be described as disappointing. Broken windows and water leaks contributed to uncertainty last week as to when Lusher High School students could return after Hurricane Isaac, and even now that the immediate damage has been repaired, the experience reinforces the need for major upcoming renovations to the old Fortier building, school officials said Saturday morning. The board of Lusher charter school approved a one-time $600 salary increase for teachers and administrators, including CEO Kathy Riedlinger, for a total cost of $72,000 next year, according to a report on Saturday’s board meeting by Yomi Akinyemi of The Lens. The school is also discussing the OneApp common enrollment process with the Recovery School District, Akinyemi reports. 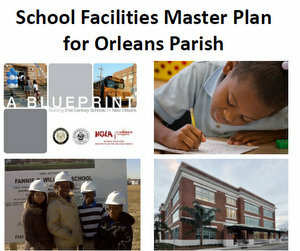 Even as education officials tout increases in test scores around Louisiana and in New Orleans, the only open-admissions school in Uptown New Orleans that exceeded state averages in any subject last year was New Orleans Charter Science and Math High School — and that was only in two of four subjects.